...and a bonus picture-perfect meeting! In NKY, we have everything you need to meet, stay & play in an affordable, yet amazing way. Click around and see why 98.4% of meeting planners are super excited about their NKY meeting&apos;s share-worthy selfies and wow-worthy results! But first, fill out the form below to claim your free selfie stick from meetNKY! NO PURCHASE IS NECESSARY TO CLAIM A PRIZE. BUT WE&apos;D BE REALLY HAPPY IF YOU BOOKED A MEETING HERE AND WE WOULD EVEN OFFER YOU MORE PRIZES. AND A THREE-WAY (CONEY). SORRY, NO PONIES. 1. Eligibility: Although we&apos;d really like to send our selfie sticks to our target audience of meeting planners, Giveaway (the “Giveaway”) is open to those who enter on this page and who are at least 18 years old as of the date of entry. We hope the employees of meetNKY (the “Sponsor”) their respective affiliates, subsidiaries, advertising and promotion agencies, suppliers and their immediate family members and/or those living in the same household of each don&apos;t attempt to participate in the Giveaway, but it&apos;s inevitable--we all like free stuff and these selfie sticks are pretty awesome! And who doesn&apos;t like taking pictures of themselves these days? The Giveaway is subject to all applicable federal, state and local laws and regulations. Void where prohibited. 2. Agreement to Rules: By participating, you agree to be fully unconditionally bound by these Rules, and you represent and warrant that you meet the eligibility requirements set forth herein. No, we won&apos;t sell your information and will try our best not to send you too many emails. We will likely sign you up for our meeting planner e-news, but it&apos;s all good. You can always unsubscrbe if you want to. The Giveaway is subject to all applicable federal, state and local laws. 3. How to Enter: The Giveaway must be entered by submitting a completed form on this page per the section above. That&apos;s it. That&apos;s all you have to do. Then we&apos;ll send you a selfie stick and you will have the best time posting pictures of yourself all over the internet. And you were worried about us selling your information? Puh-lease! Entries that are not complete or do not adhere to the rules or specifications may be disqualified at the sole discretion of meetNKY. You may enter only once and you must fill in the information requested... but if you really want an extra selfie stick, just send us an email (maybe with an RFP attached?!) and if we&apos;re feeling extra generous, we just might send you another. 5. Winner selection and notification: If you completed the form, we&apos;ll send you a selfie stick. Easy as that. As much as we&apos;d like to, we don&apos;t really have a bunch of extra time to send you a notification or show up at your house ringing your doorbell with balloons and a smile. meetNKY shall have no liability for a winner’s failure to receive prize due to winners’ non-functioning contact information, undeliverable mail, etc. 6. Rights Granted by you: We&apos;ll get your permission before we use your information because we&apos;re just that type of people, but we have to tell you this legal stuff anyway: By entering the Giveaway, you understand that meetNKY, anyone acting on behalf of meetNKY, or its respective licensees, successors and assigns will have the right, where permitted by law, without any further notice, review or consent to print, publish, broadcast, distribute, and use, worldwide in any media now known or hereafter in perpetuity and throughout the World, your entry, including, without limitation, the entry and winner’s name, portrait, picture, voice, likeness, image or statements about the Giveaway, and biographical information as news, publicity or information and for trade, advertising, public relations and promotional purposes without any further compensation. And like we said, we&apos;ll sign you up for our meeting planner e-news because we think you&apos;ll like it. But if you don&apos;t, there&apos;s an unsubscribe button. 7. Terms: meetNKY reserves the right, in its sole discretion to cancel, terminate, modify or suspend the Giveaway. Just play fair and don&apos;t do anything stupid. 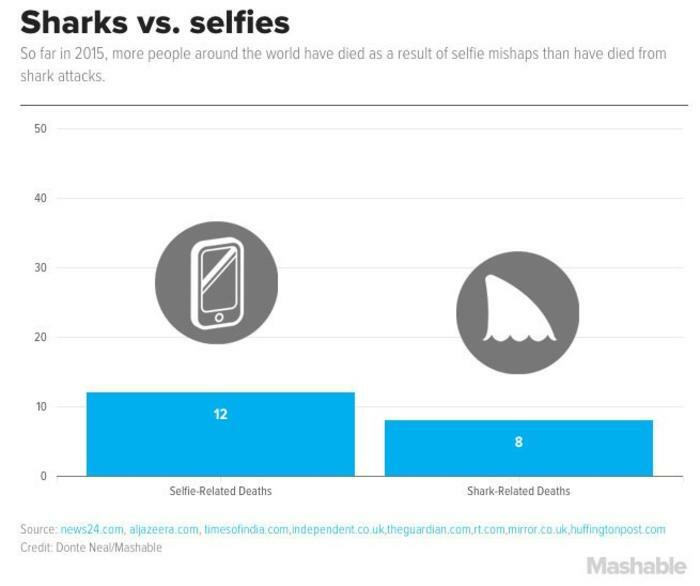 It&apos;s just a selfie stick, afterall. meetNKY reserves the right at its sole discretion to disqualify any individual who tampers or attempts to tamper with the entry process or the operation of the Giveaway or website or violates these Terms & Conditions. We like to have fun as much as you do, but don&apos;t do us wrong. Any attempt by an entrant to deliberately damage any web site or undermine the legitimate operation of the giveaway may be a violation of criminal and civil laws and should such an attempt be made, meetNKY reserves the right to seek damages from any such person to the fullest extent permitted by law. 8. Limitation of Liability: This is the part where we tell you we aren&apos;t responsible for your accidents or stupidity. Again, the charging bull chasing you might make for a good selfie, but is it really worth risking your life? Our best advice: be safe and be smart! THIS GIVEAWAY IS GOVERNED BY THE LAWS OF THE UNITED STATES OF AMERICA AND KENTUCKY, WITHOUT RESPECT TO CONFLICT OF LAW DOCTRINES. As a condition of participating in this Giveaway, participant agrees that any and all disputes which cannot be resolved between the parties, and causes of action arising out of or connected with this Giveaway, shall be resolved individually, without resort to any form of class action, exclusively before a court located in Kentucky having jurisdiction. Further, in any such dispute, under no circumstances will participant be permitted to obtain awards for, and hereby waives all rights to claim punitive, incidental, or consequential damages, including reasonable attorneys’ fees, other than participant’s actual out-of-pocket expenses (i.e. costs associated with entering this Giveaway), and participant further waives all rights to have damages multiplied or increased. 10. Official Rules: To obtain a copy of these Official Rules (though we don&apos;t know why you&apos;d need or want to...) mail your request along with a stamped, self-addressed envelope to: meetNKY, 50 E. RiverCenter Blvd. Suite 200, Covington, KY 41011. Requests must be received no later than November 1, 2015. 11. Sponsor: The Sponsor of the Giveaway is meetNKY, 50 E. RiverCenter Blvd. Suite 200, Covington, KY 41011. We hope you enjoy your selfie stick and we hope you think of us before you plan your next meeting. Peace.